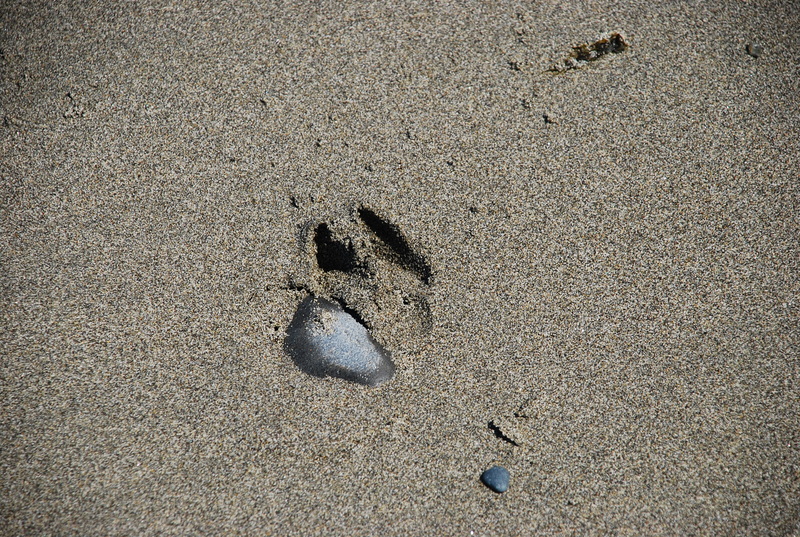 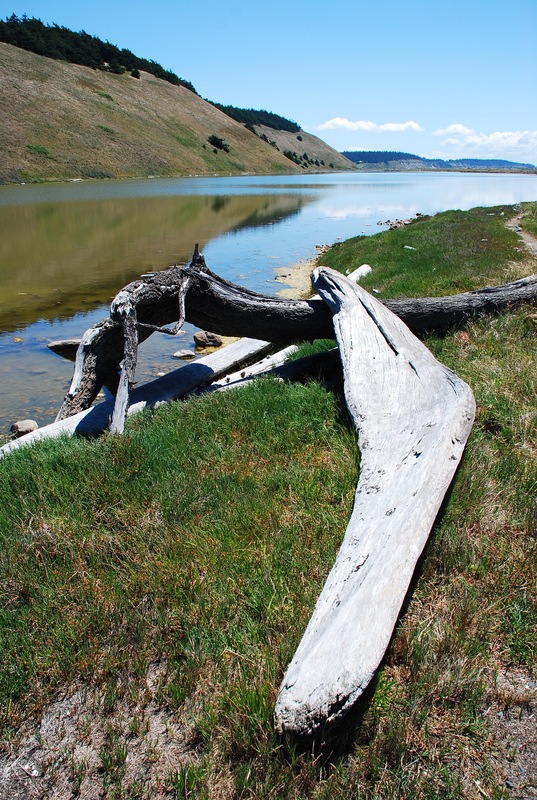 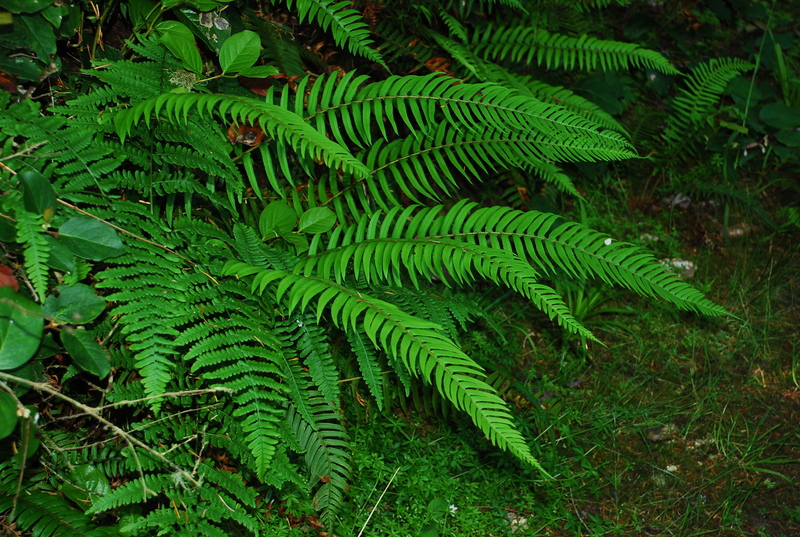 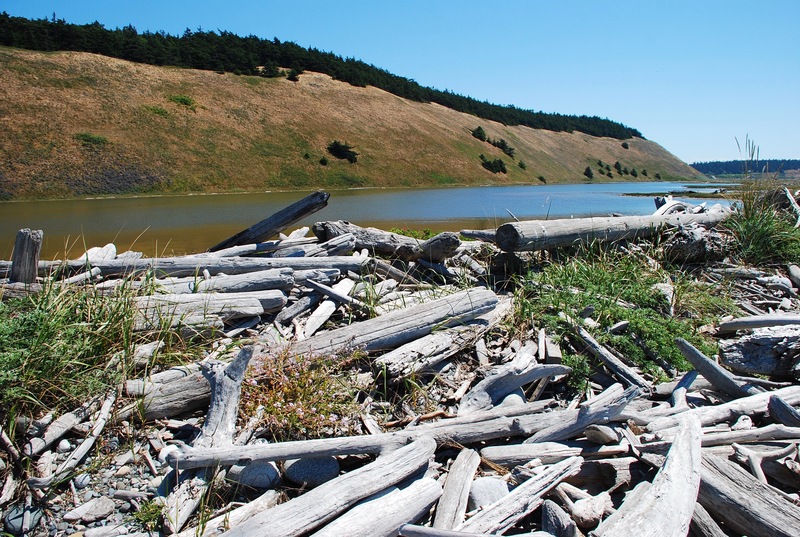 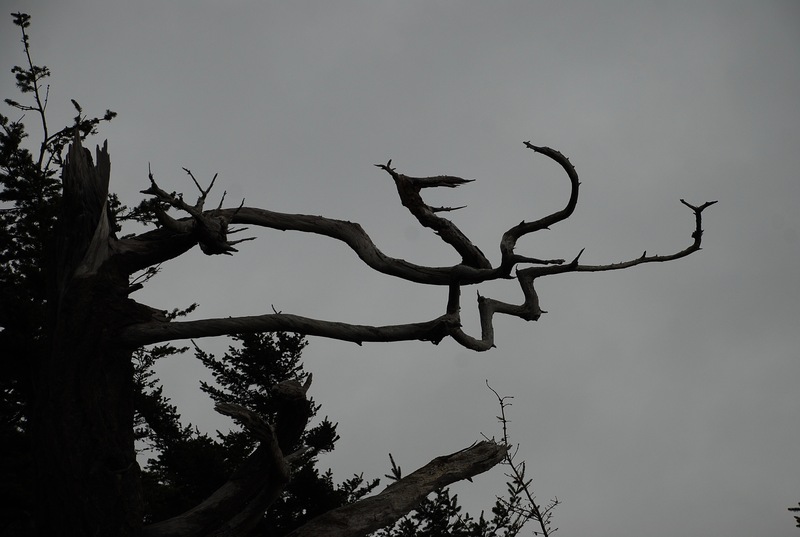 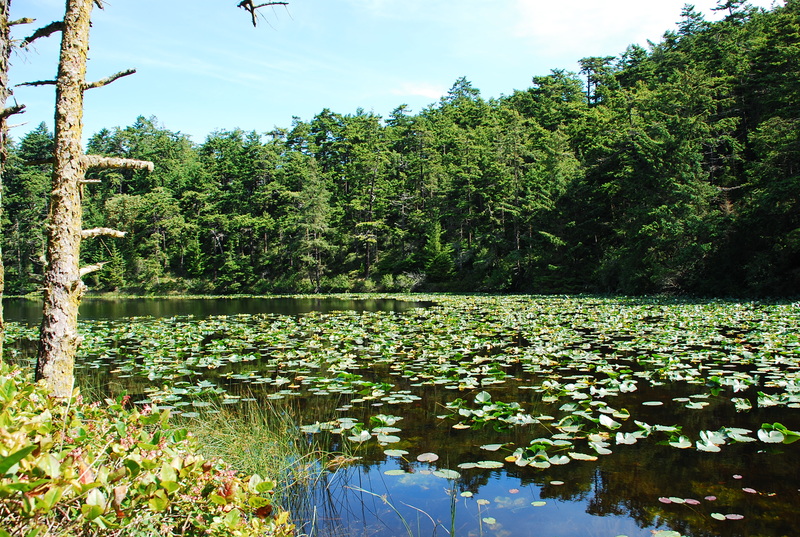 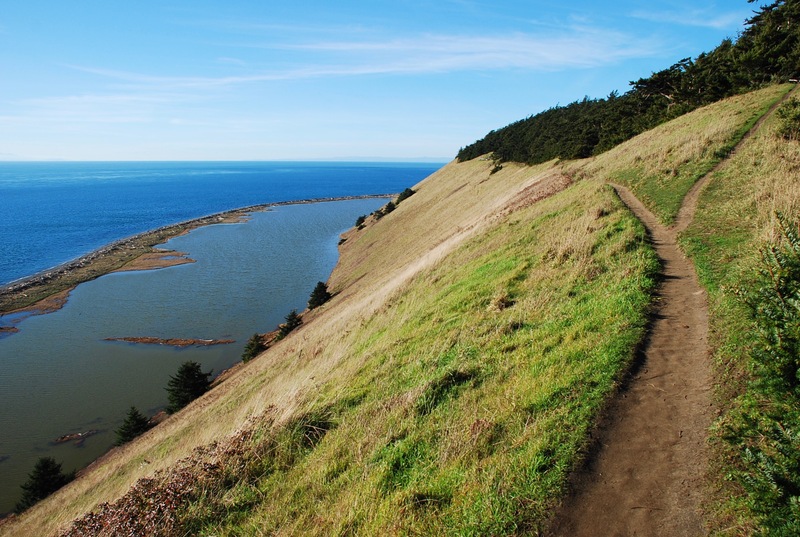 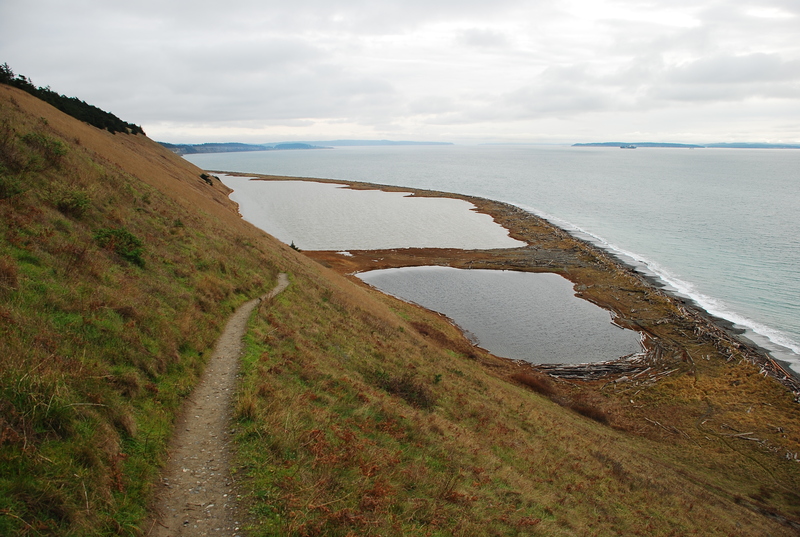 North of Perego’s Lagoon – just off the Bluff Trail. 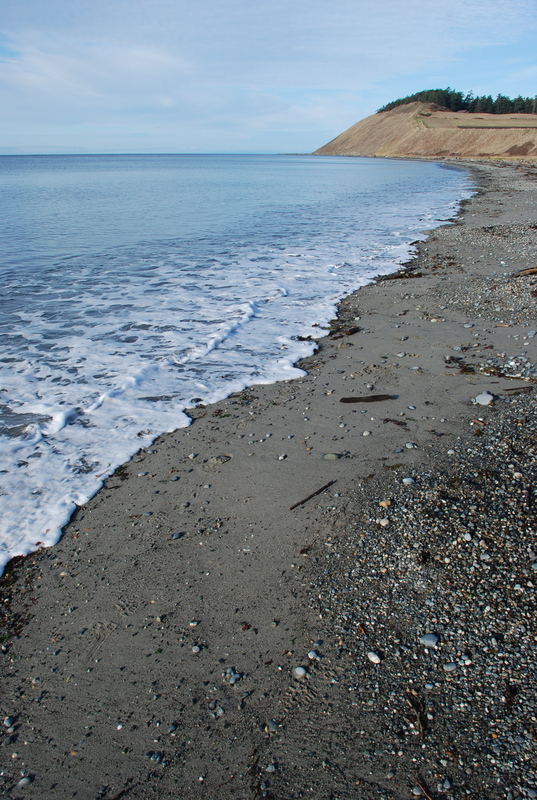 Looking north towards Perego’s Lagoon. 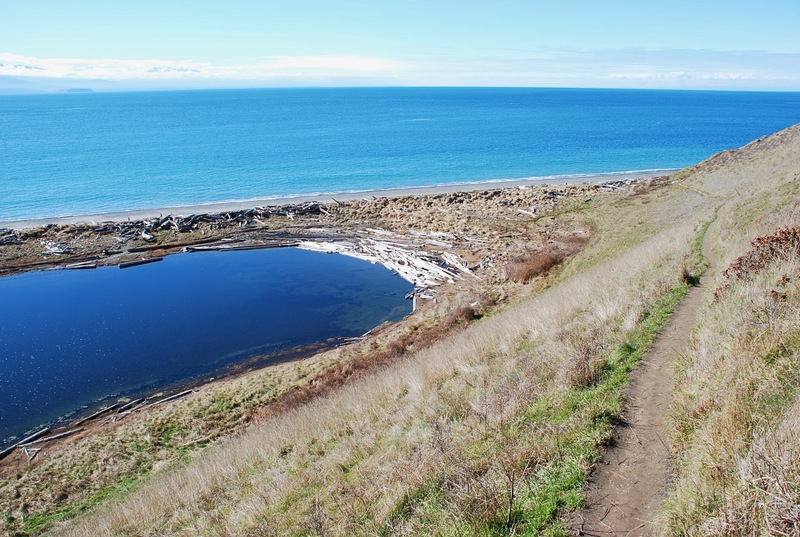 North end of Perego’s Lagoon. 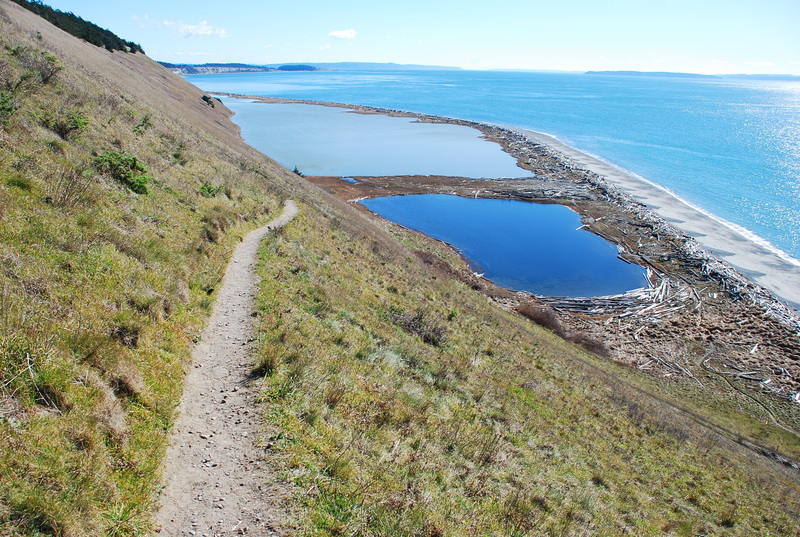 South end of Perego’s Lagoon coming into view. 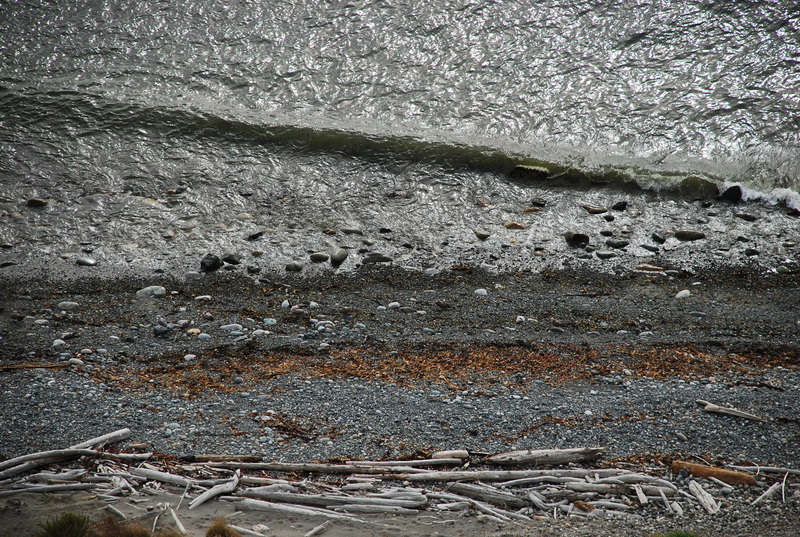 Just north of Perego’s Lagoon. 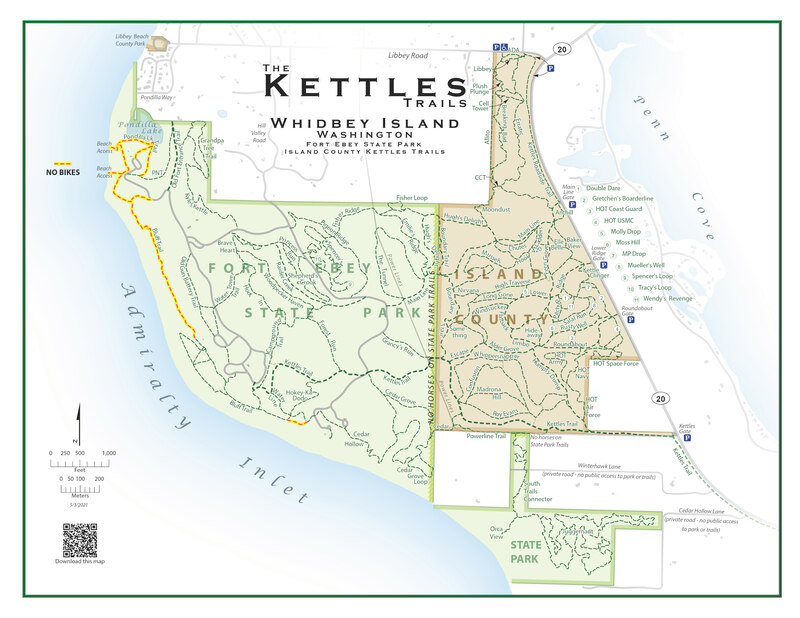 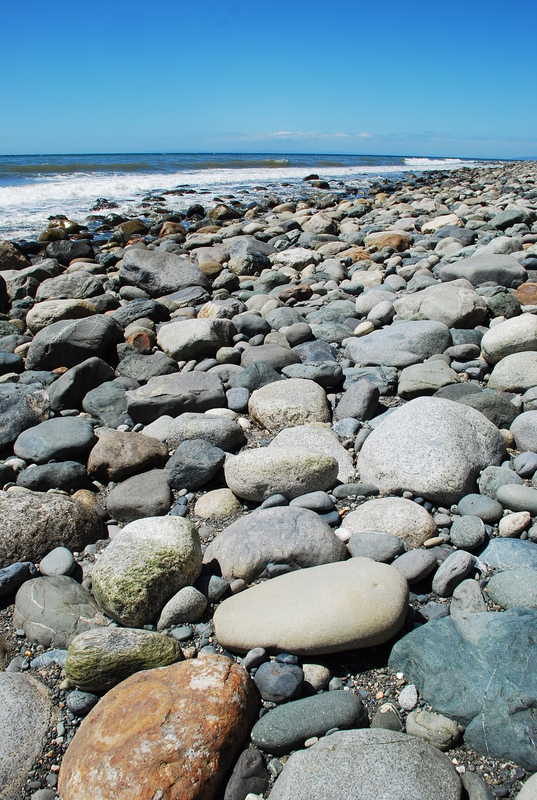 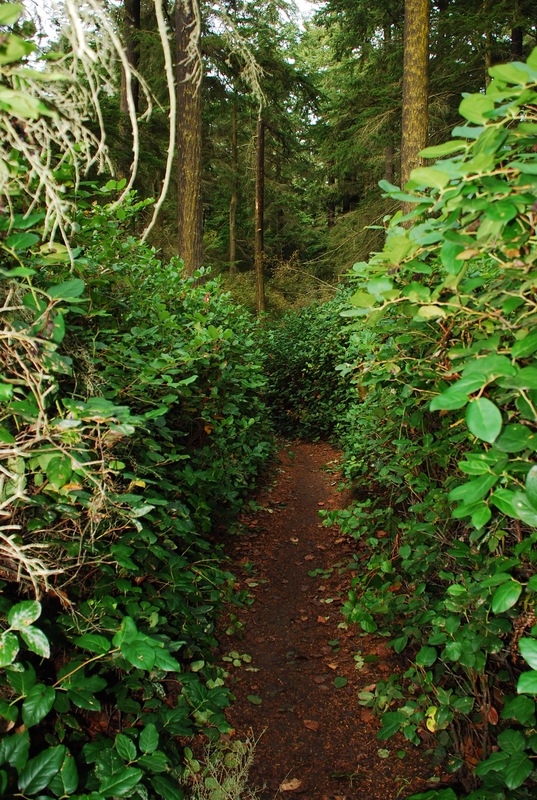 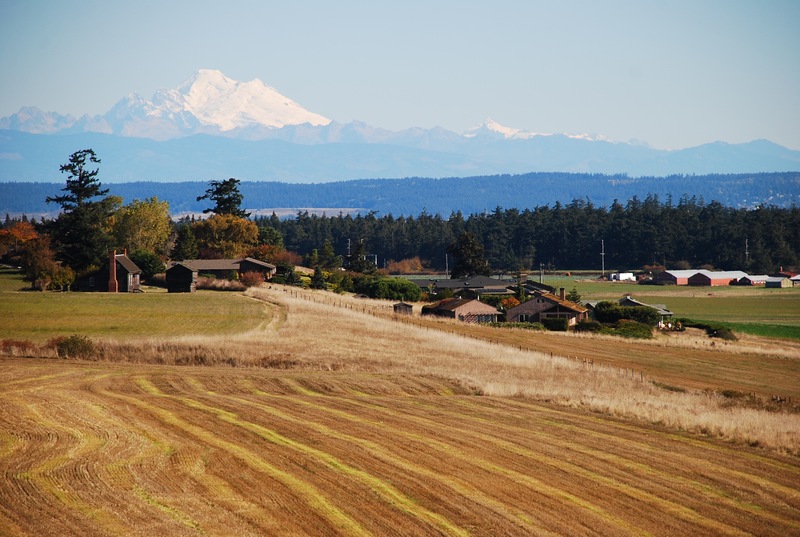 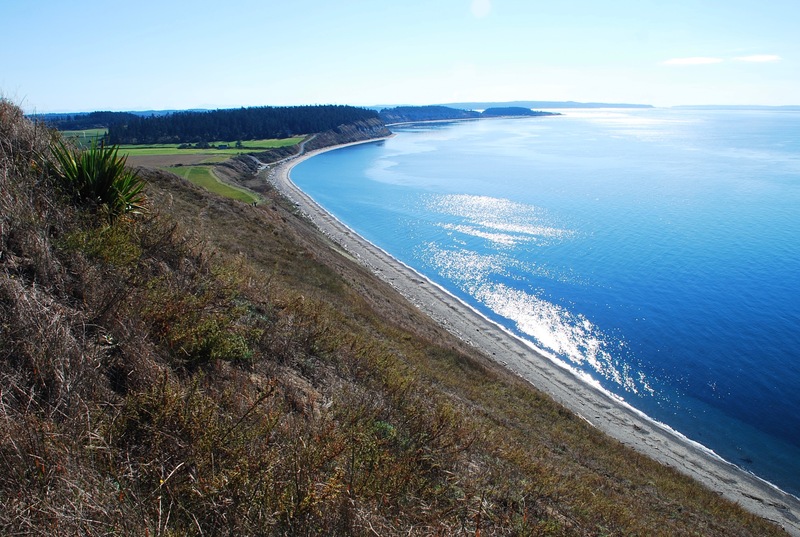 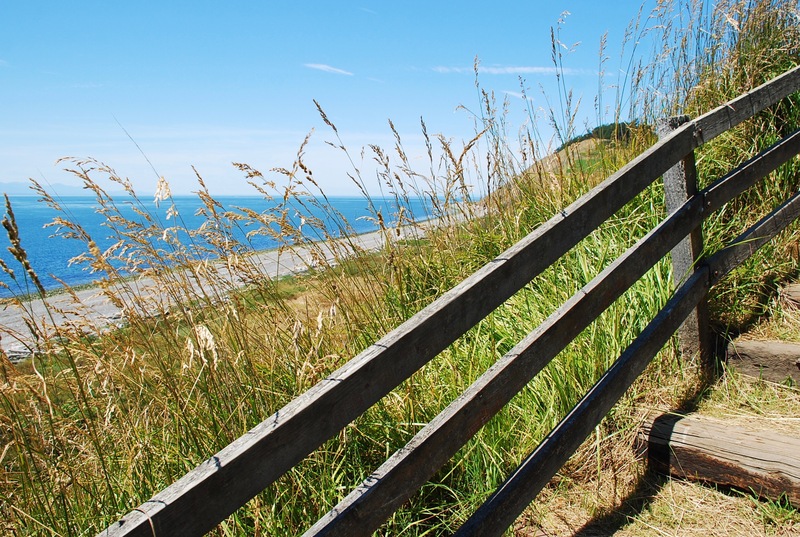 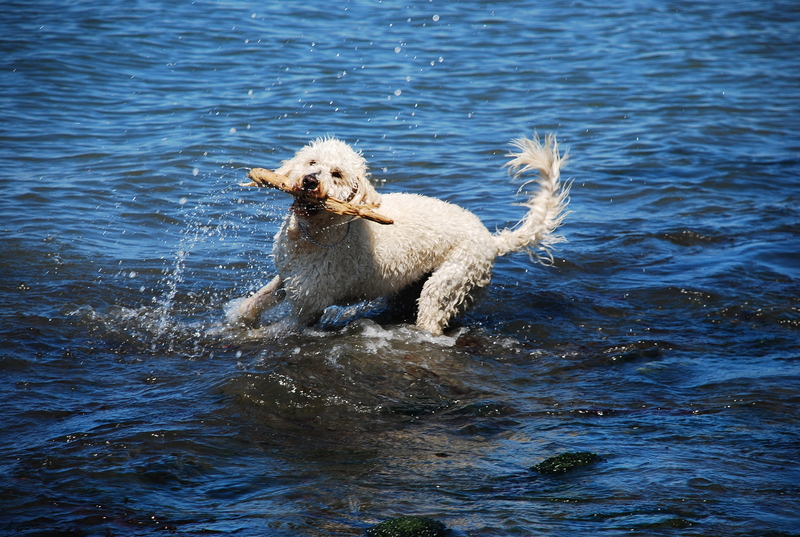 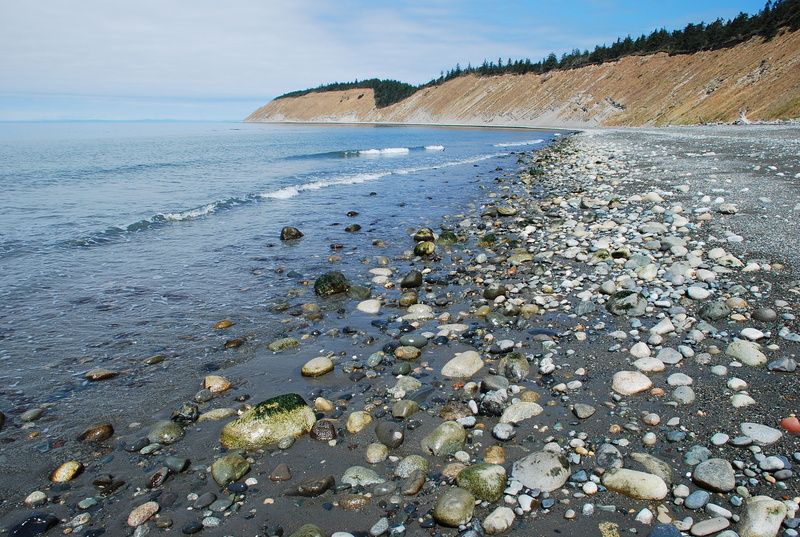 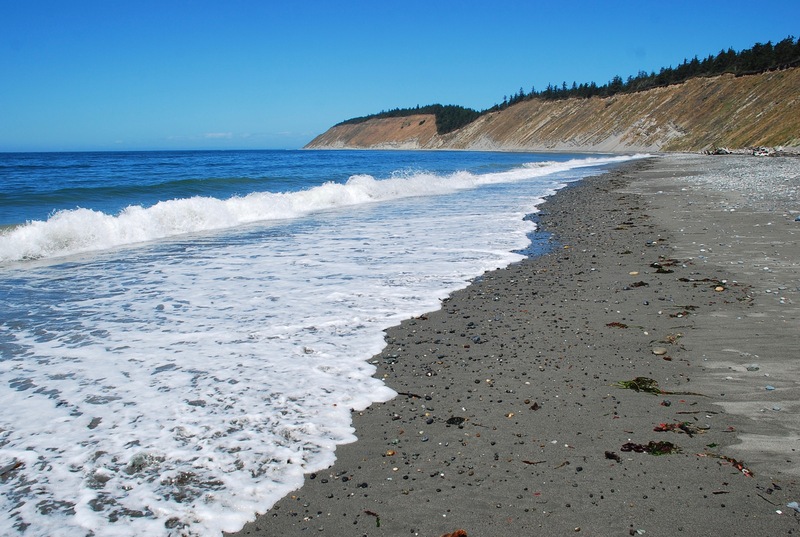 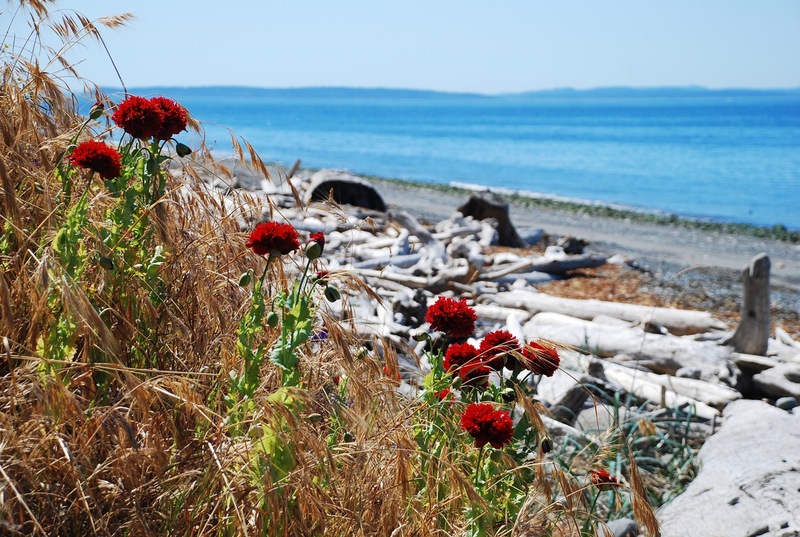 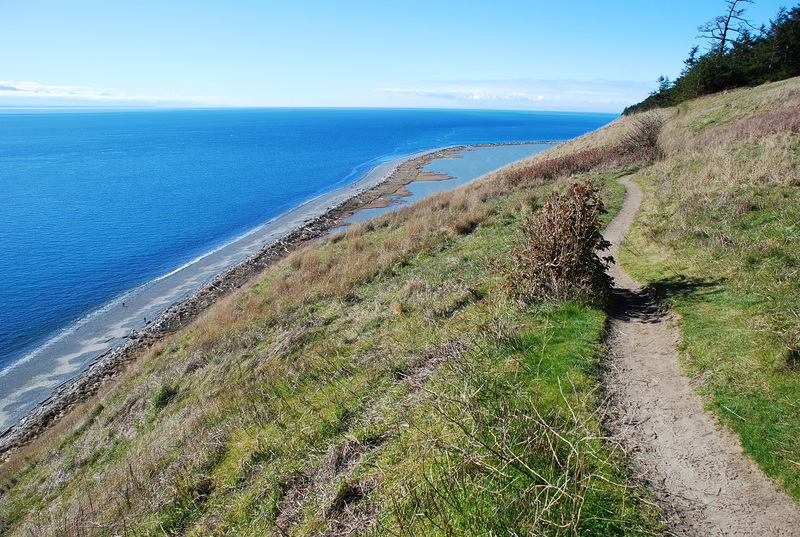 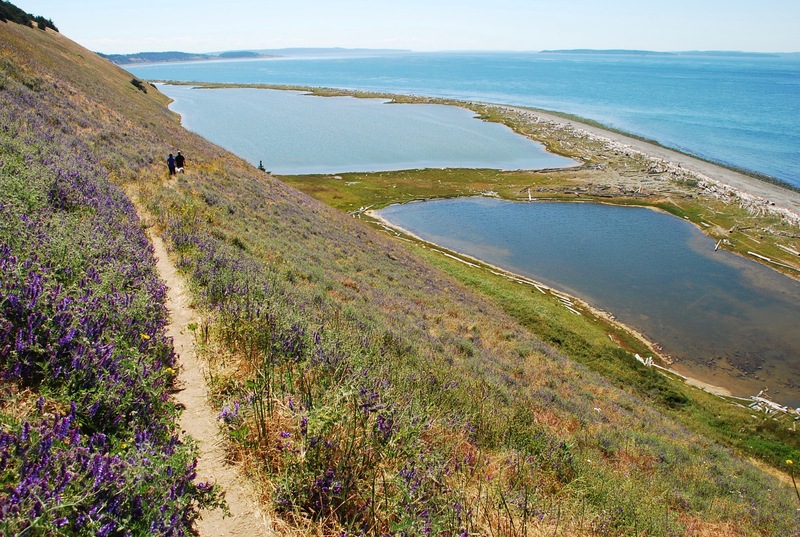 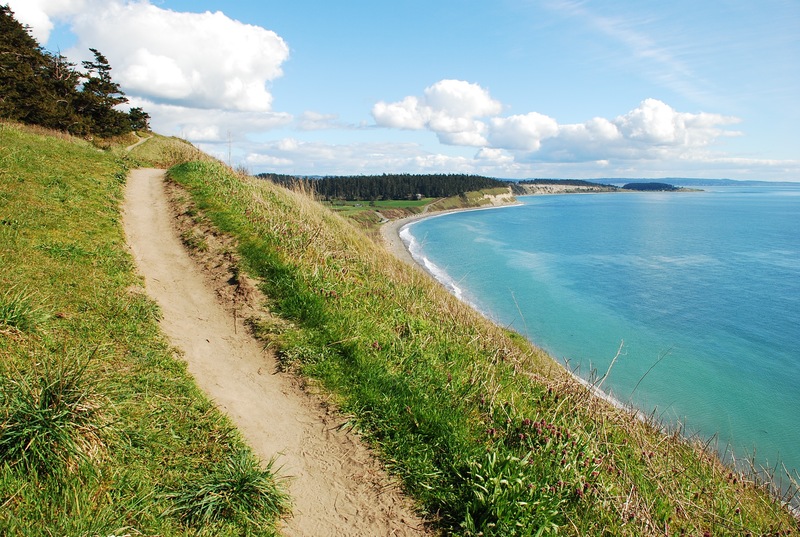 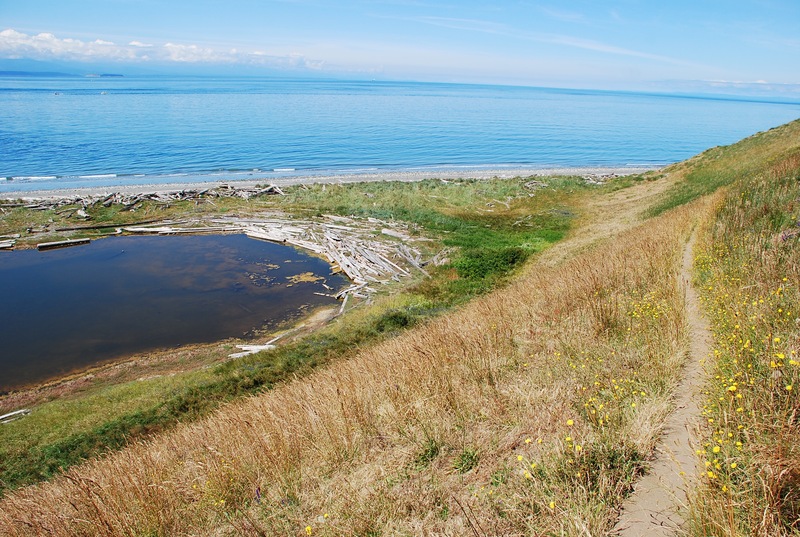 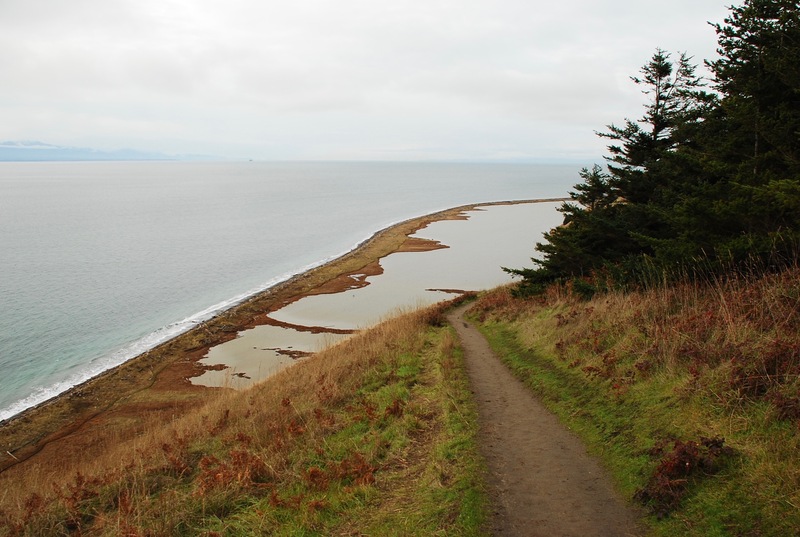 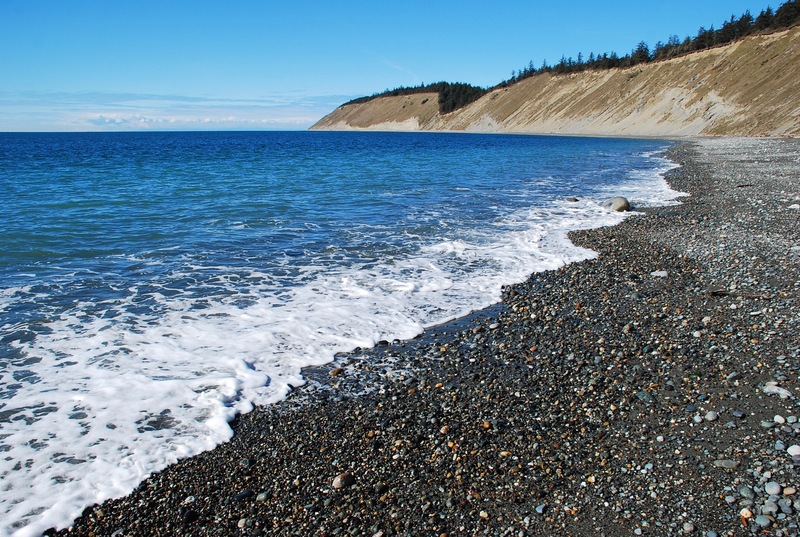 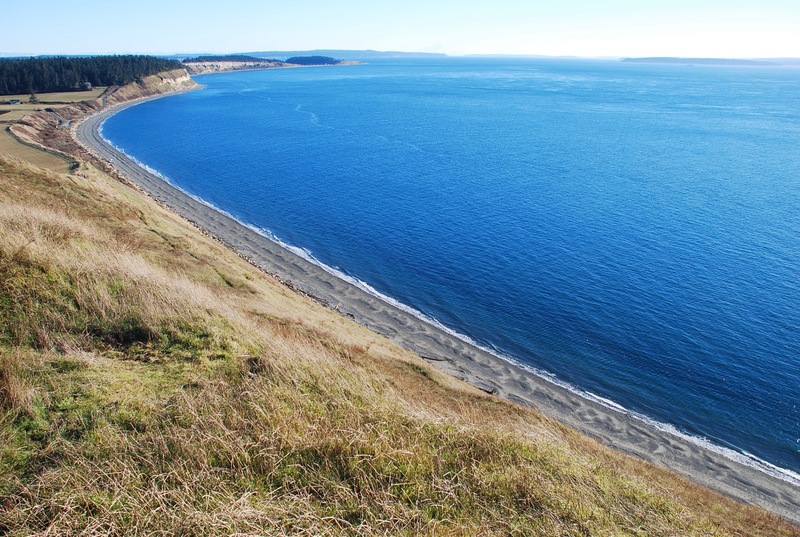 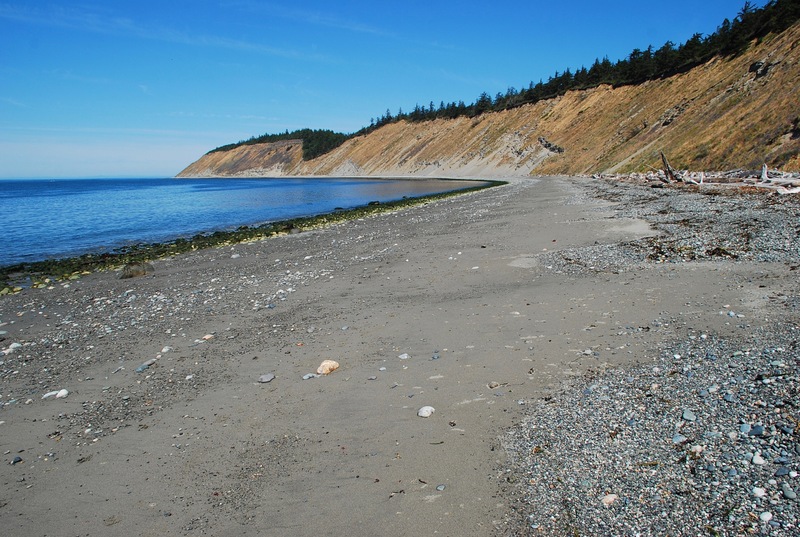 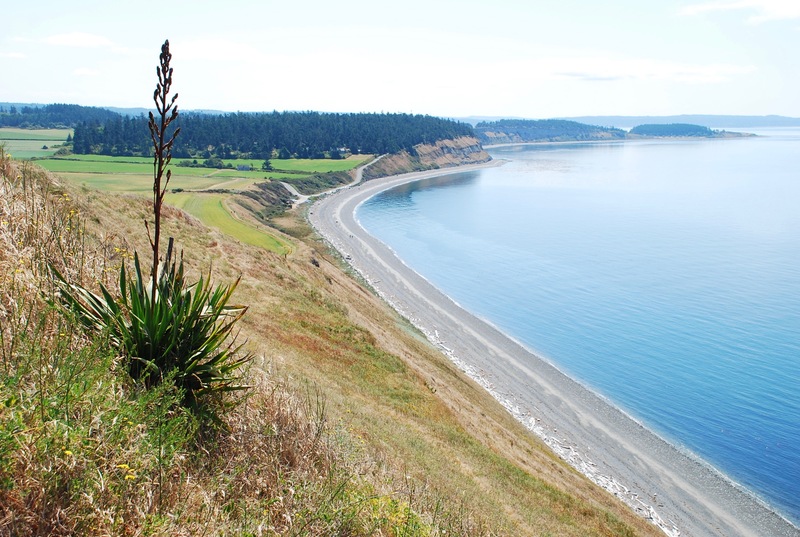 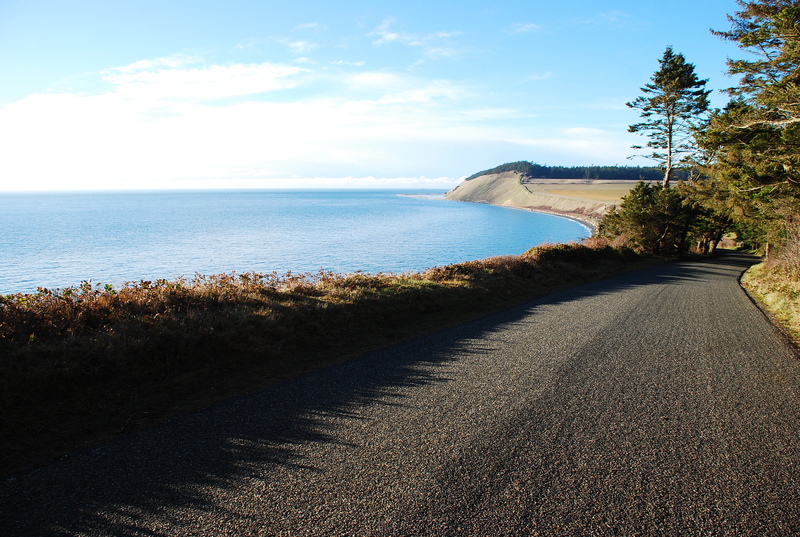 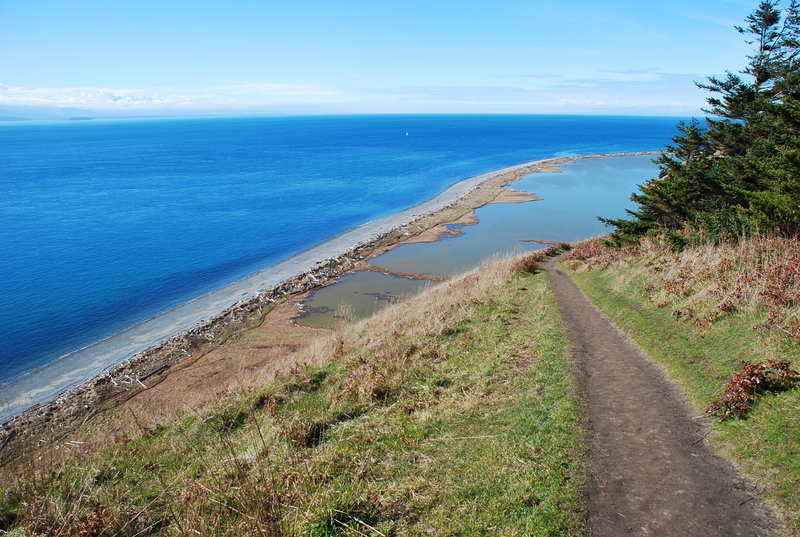 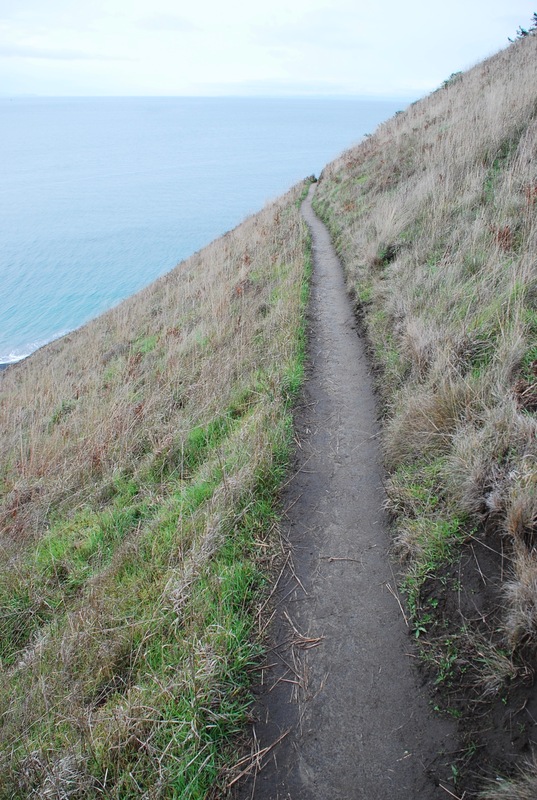 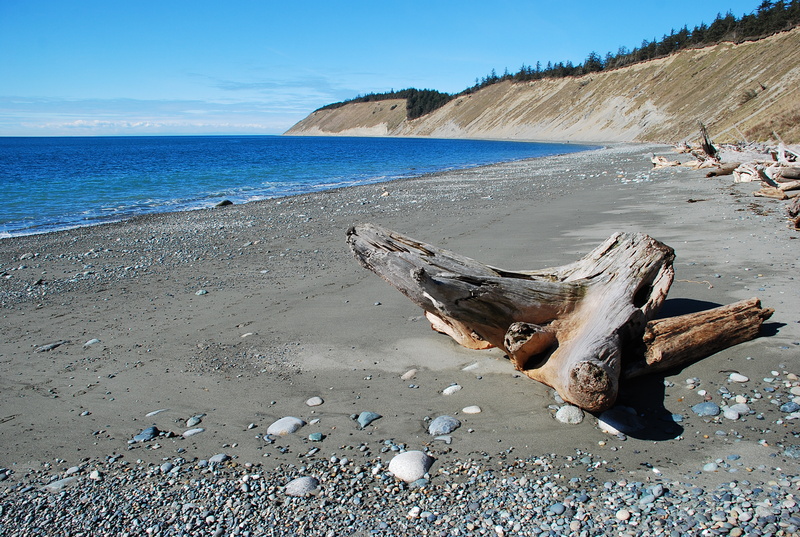 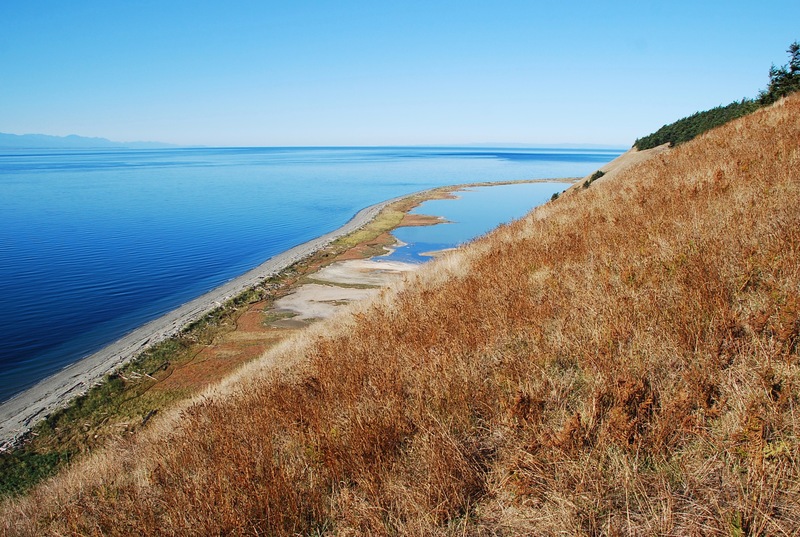 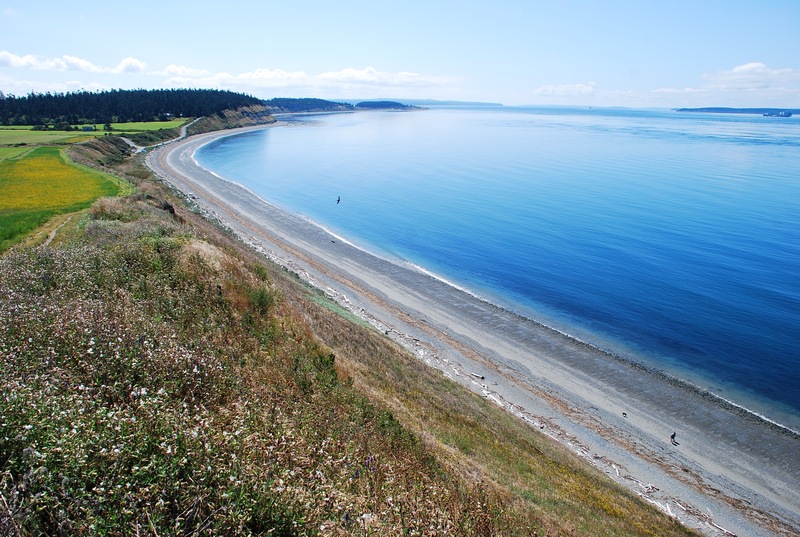 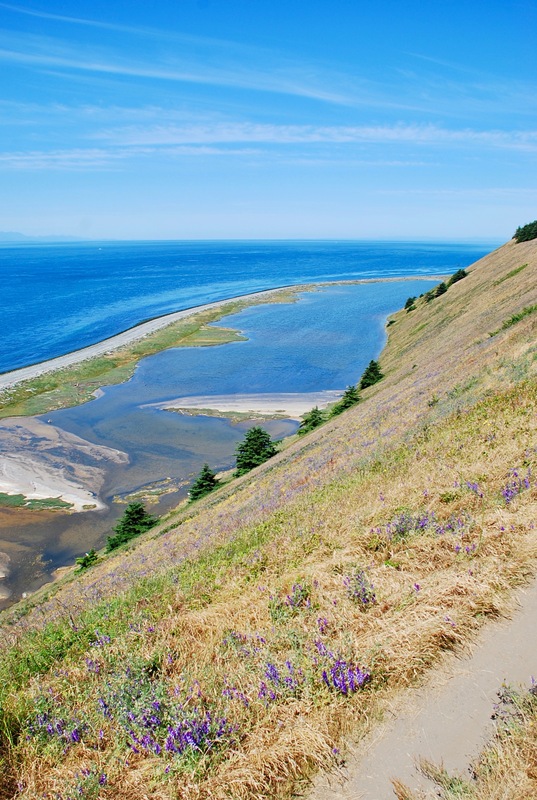 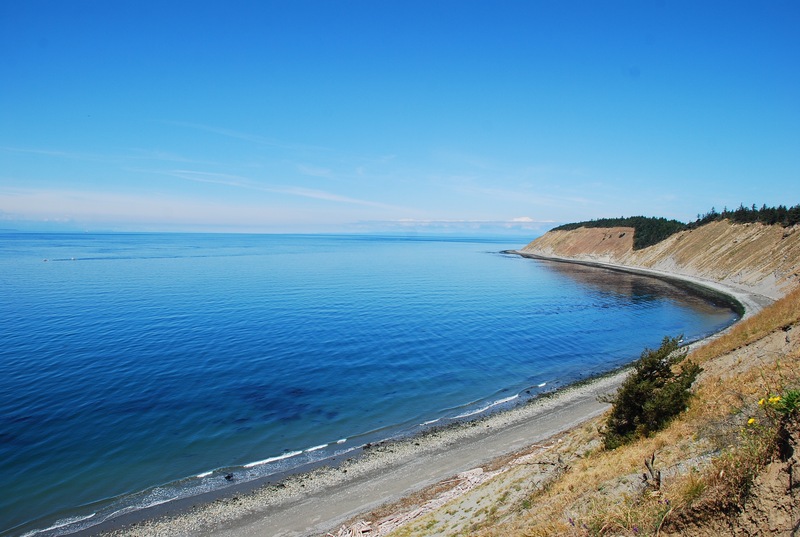 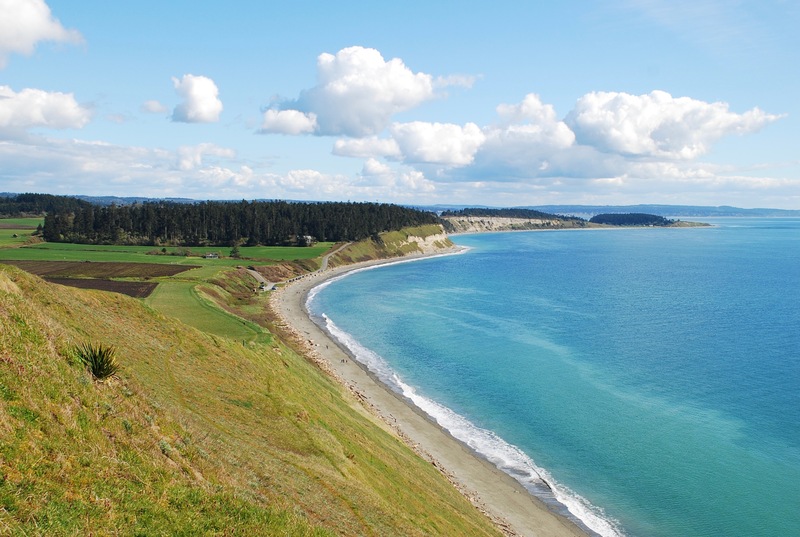 Out to the Ebey’s Landing Bluff Trail. 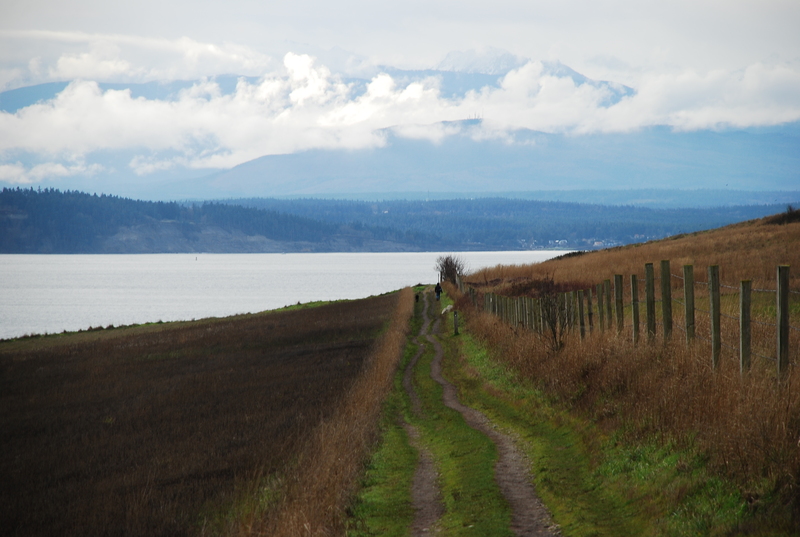 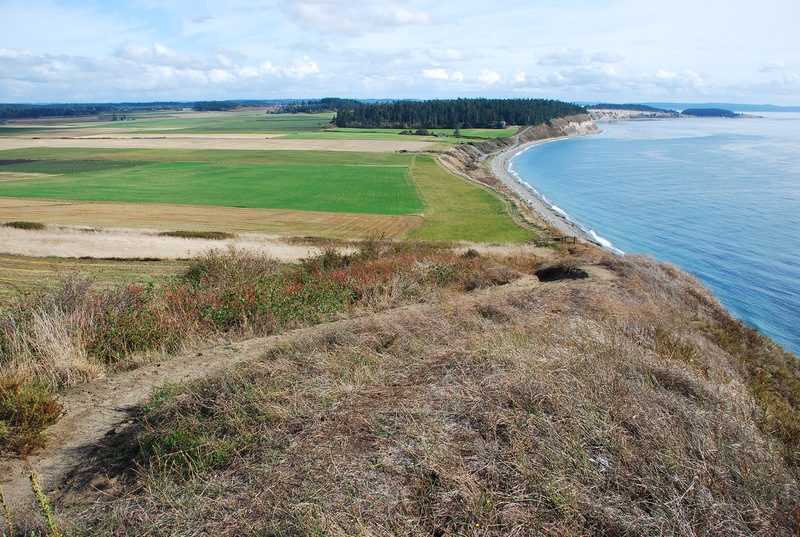 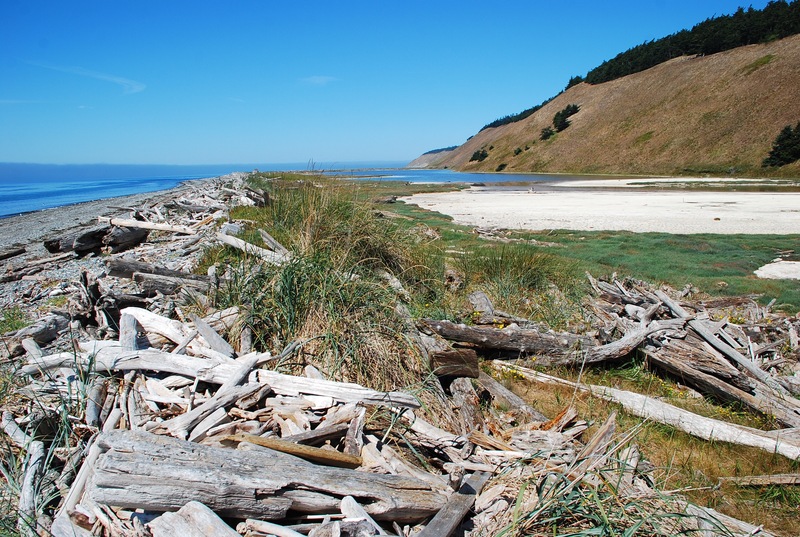 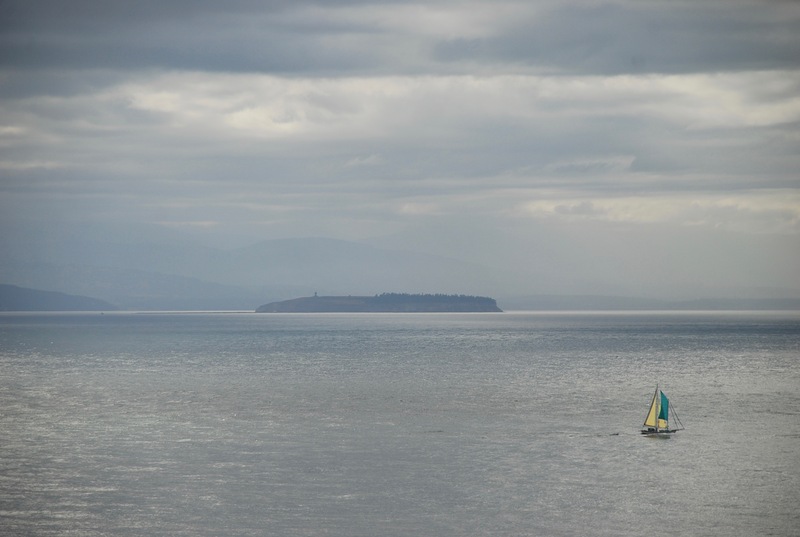 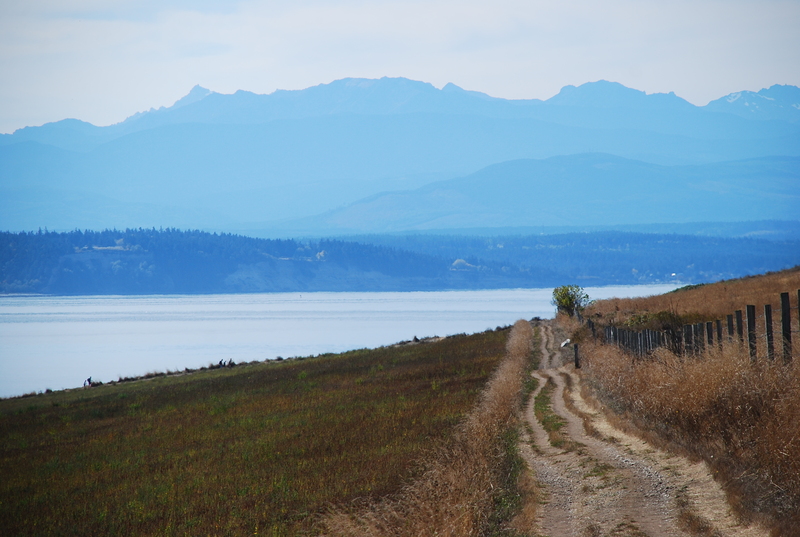 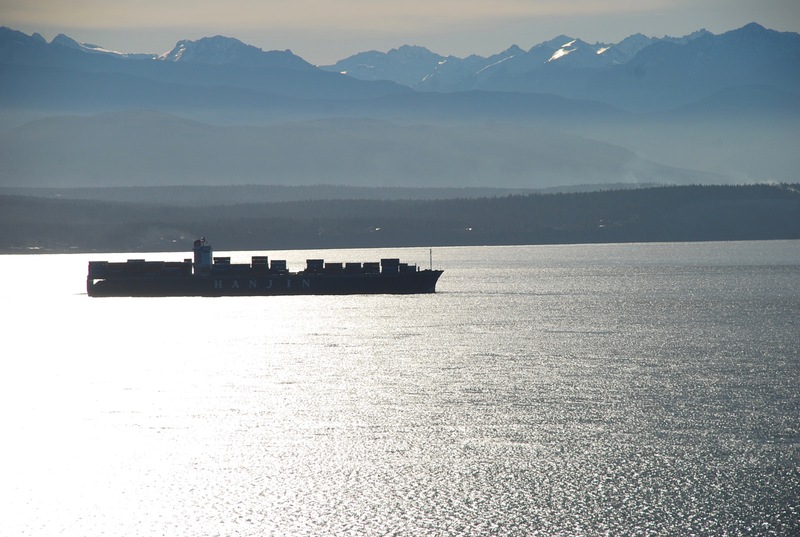 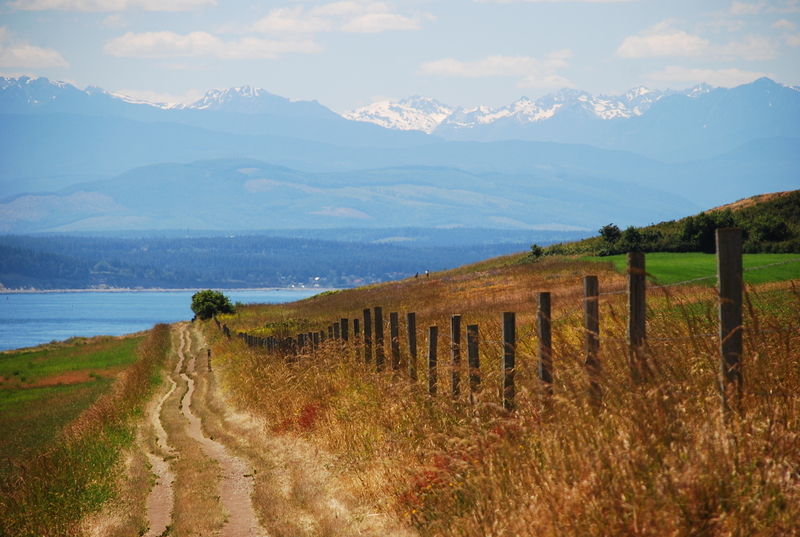 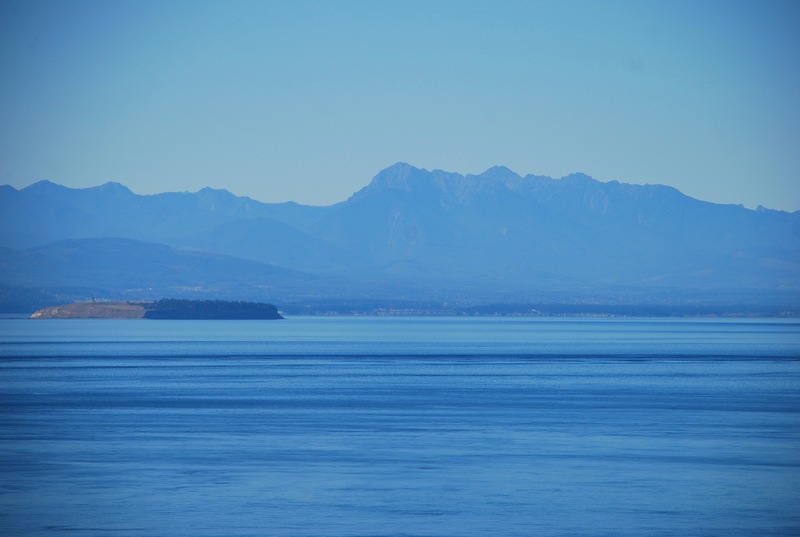 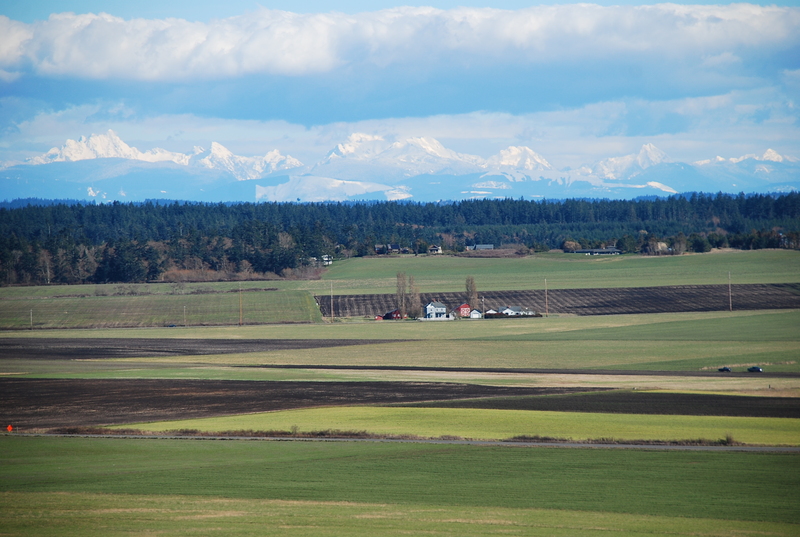 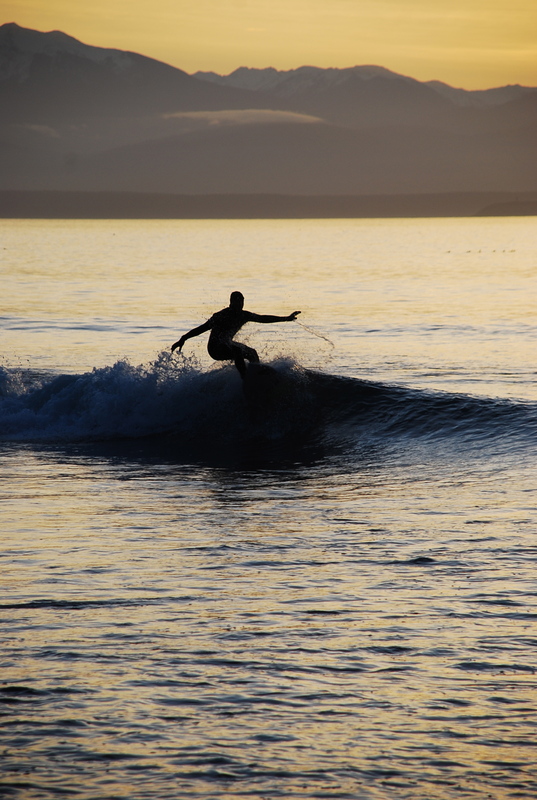 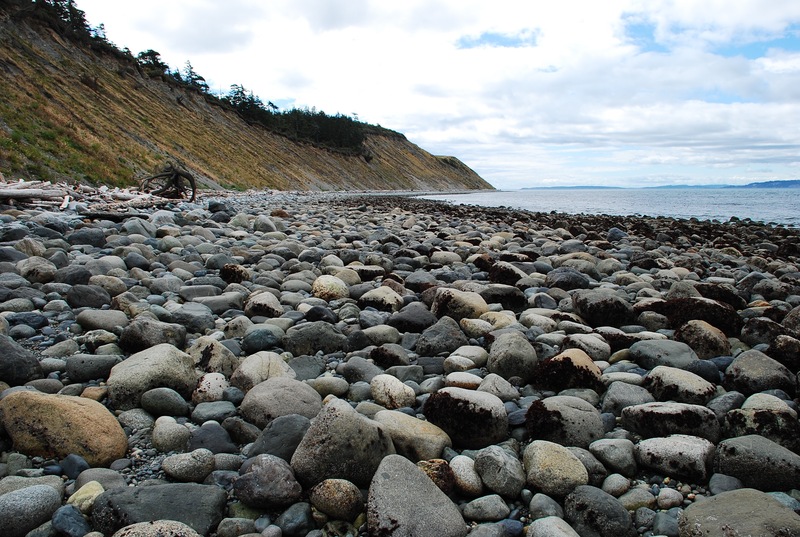 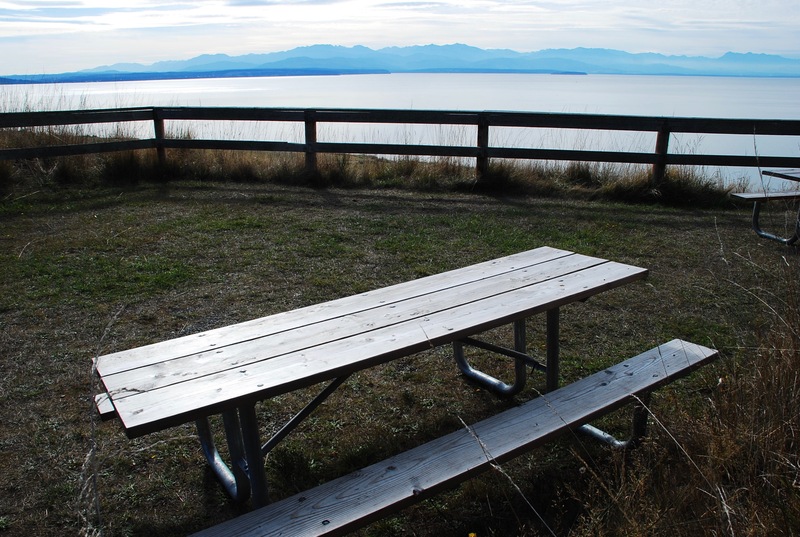 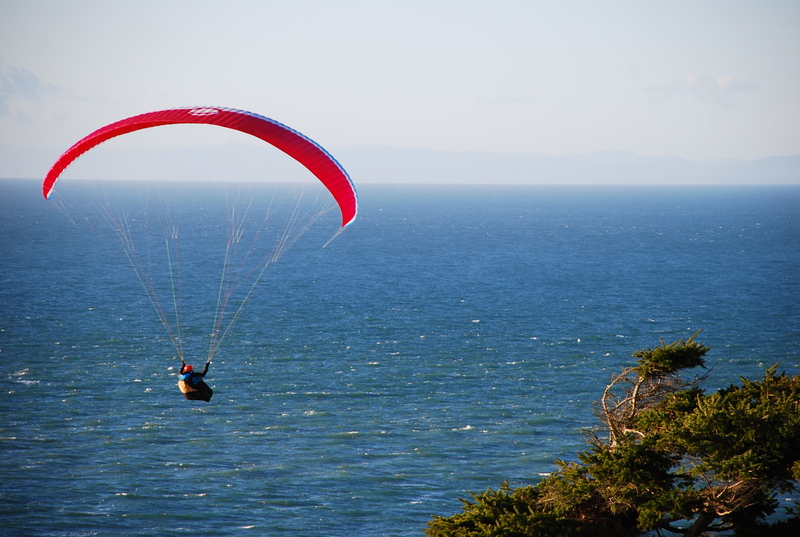 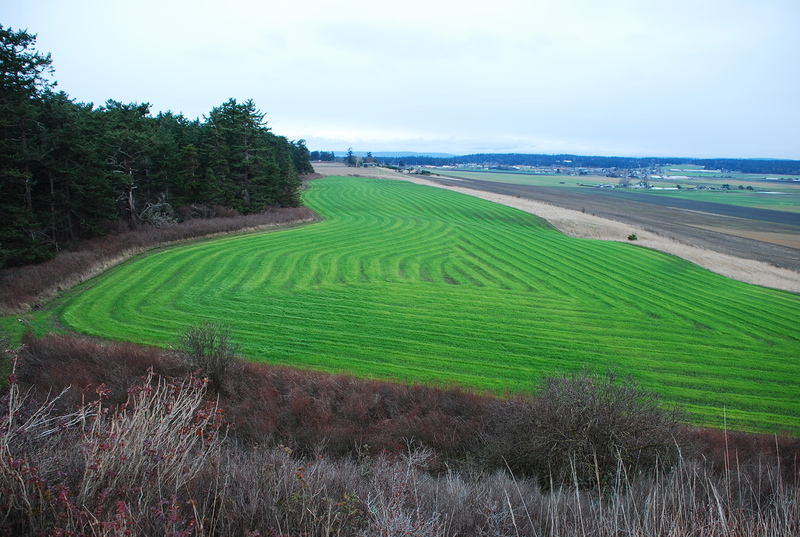 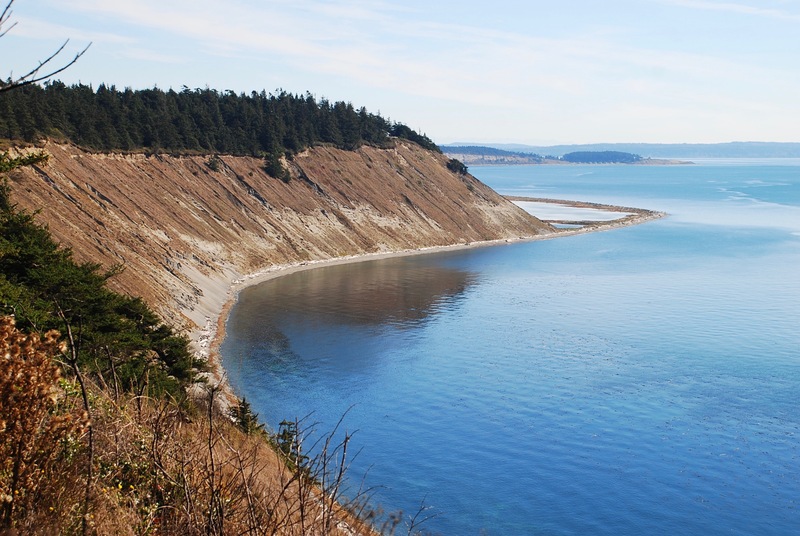 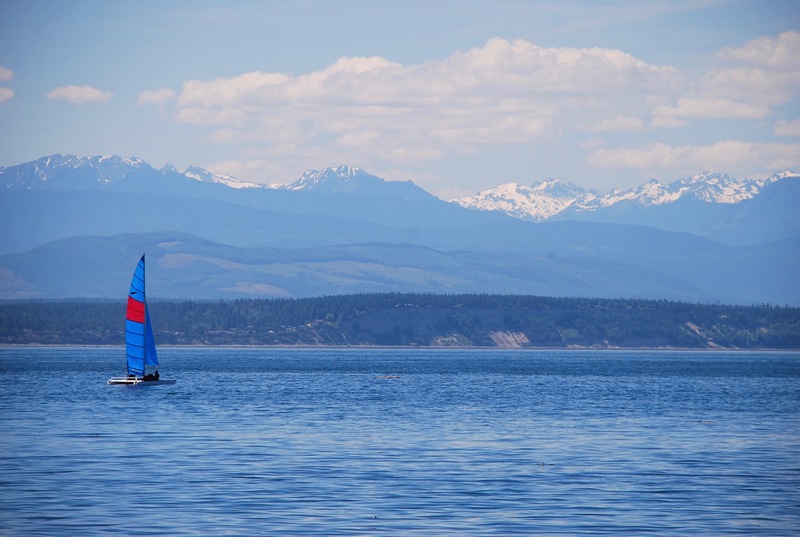 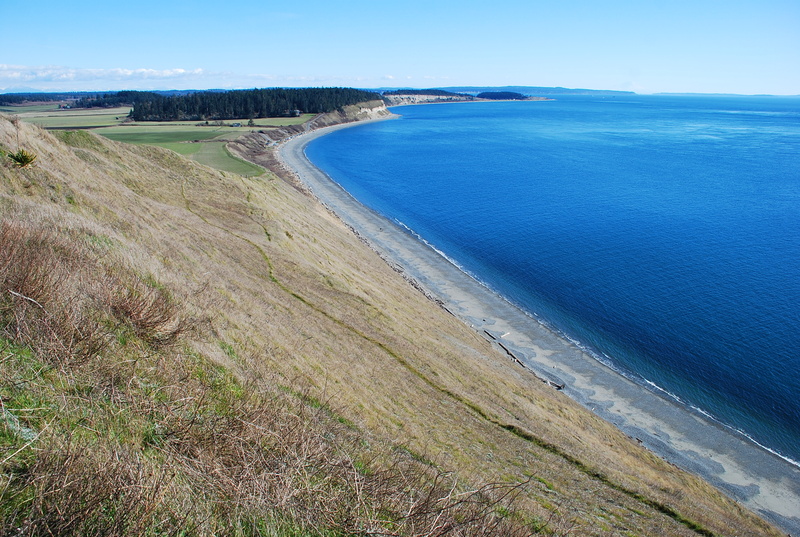 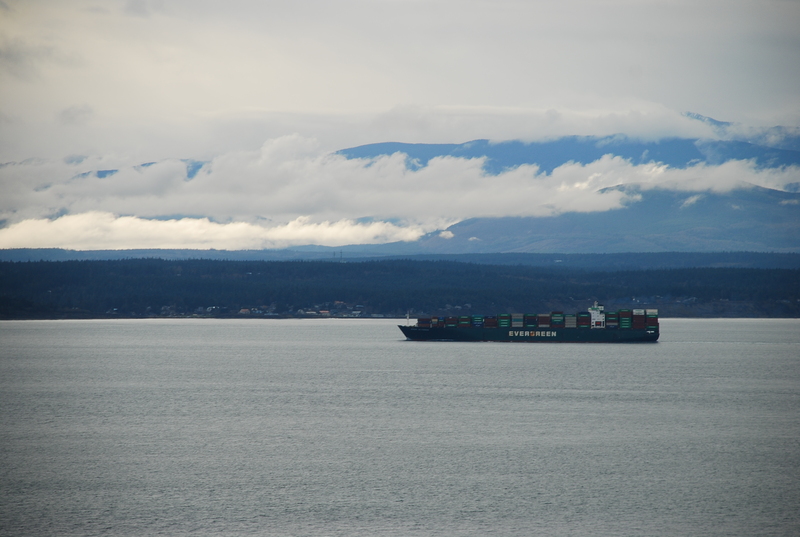 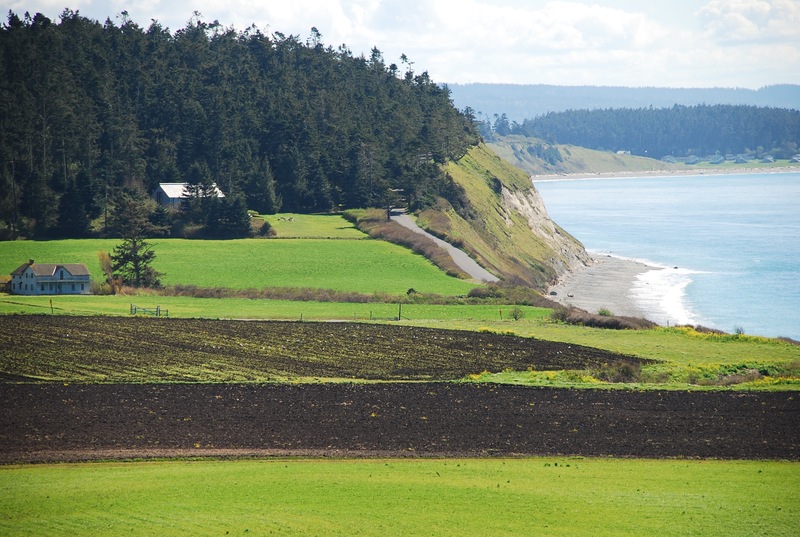 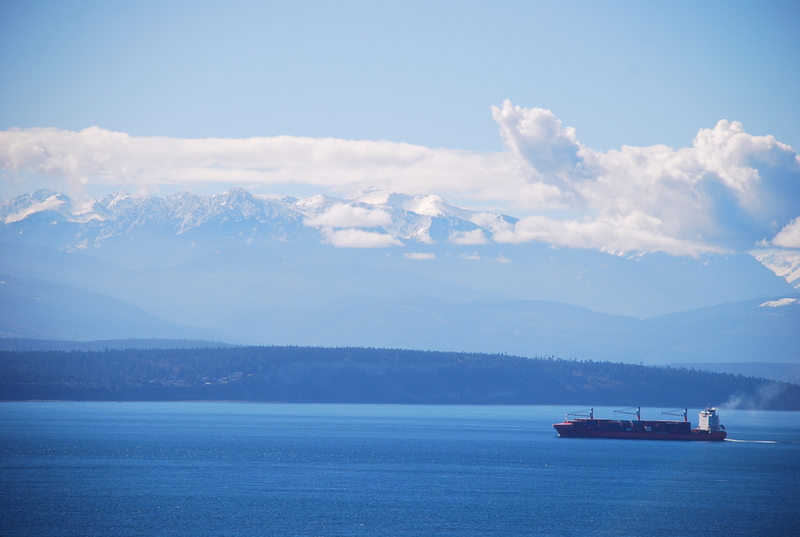 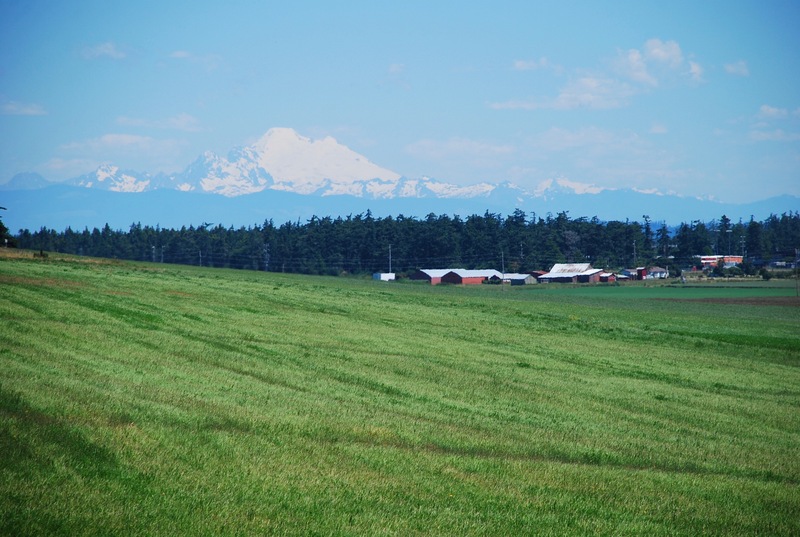 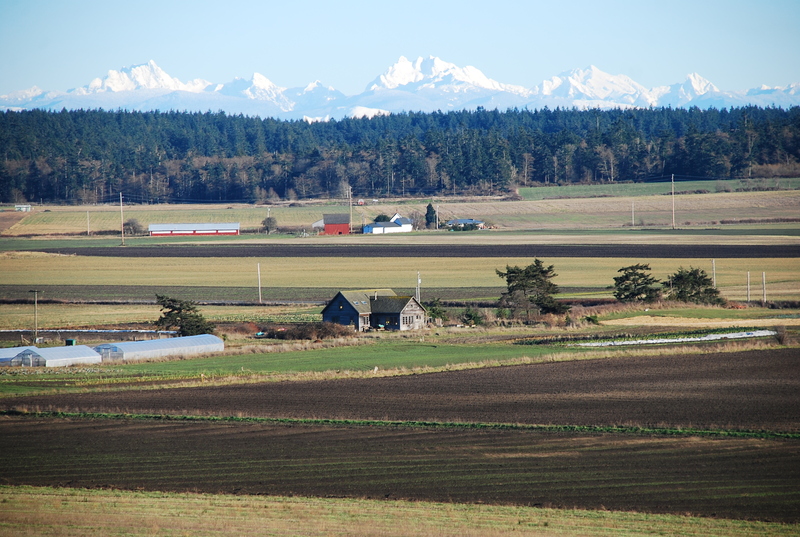 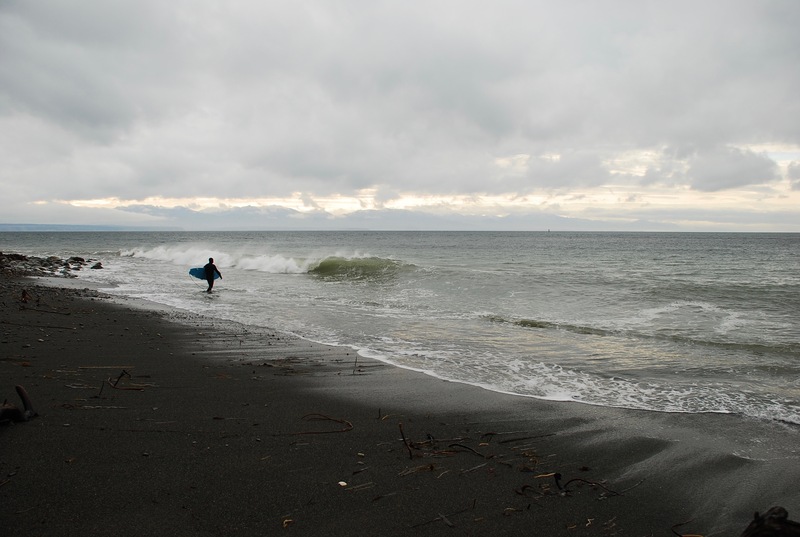 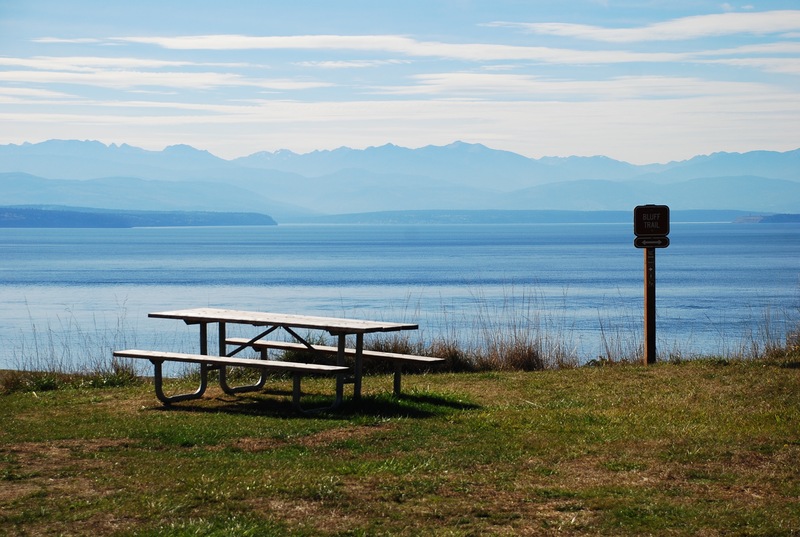 Looking toward Fort Ebey here- just north of Perego’s Lagoon. 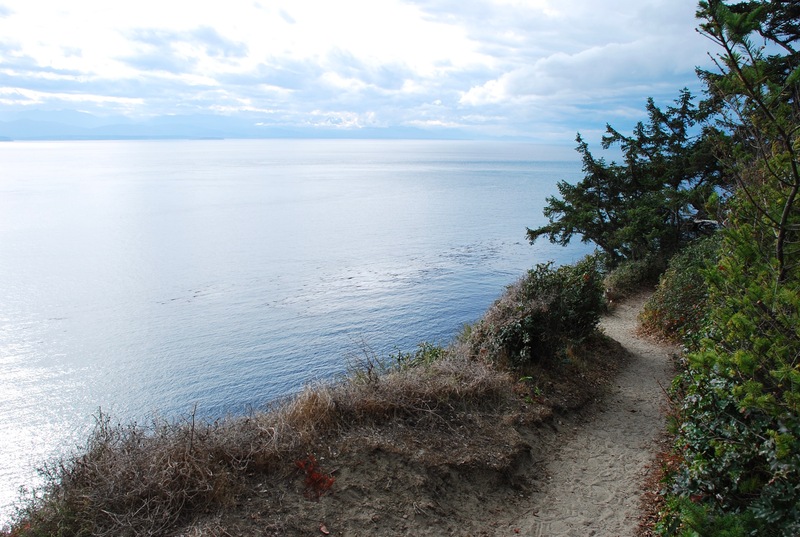 Today I parked near the cemetery and walked the Ridge Trail west until I came to the bluff. 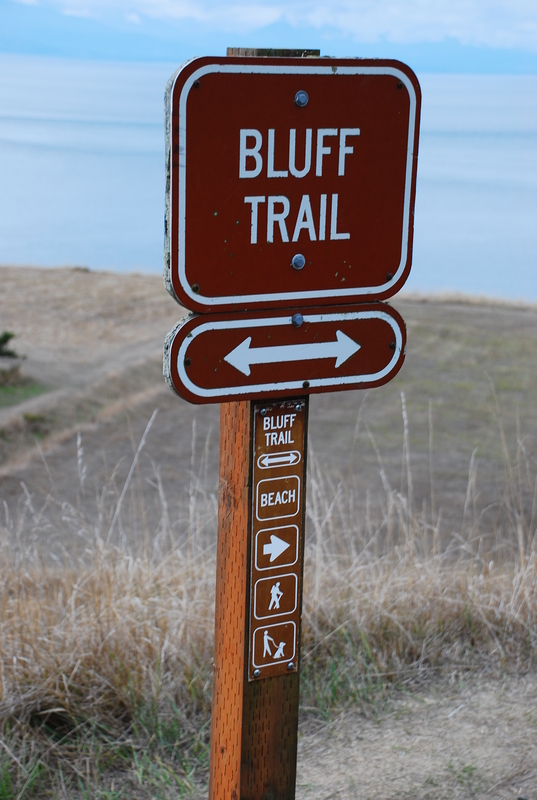 The Bluff Trail is a friendly place. 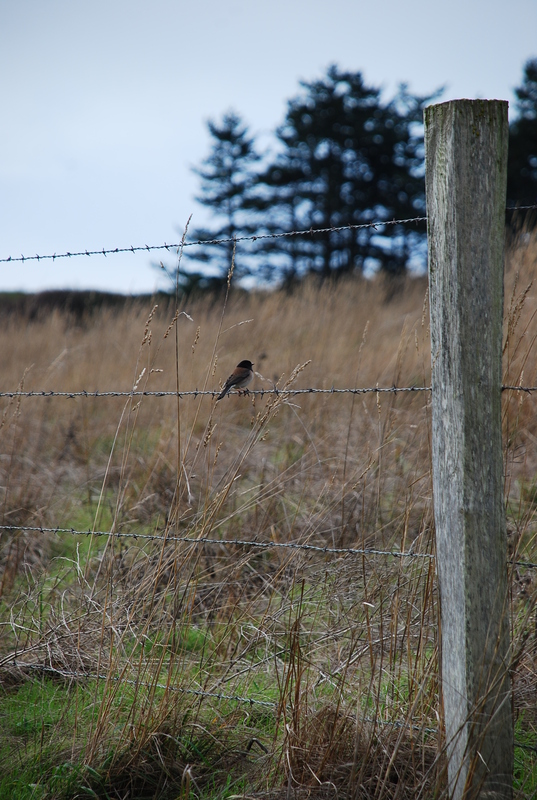 Several others were out enjoying a dry and slightly breezy afternoon.